One passenger died, five passengers suffered severe injury and 10 including the bus driver suffered minor injuries in this horrible collision between a school bus and a truck that happened near Chesterfield in New Jersey in February 2012. Last week the National Transportation safety Board released a synopsis from the Safety Board’s report that shows negligence by the school bus driver, the commercial license medical examiner, the truck driver, the truck company and the truck manufacturer. According to the report the crash was due to the school bus driver failing to see the truck approaching the intersection. The bus driver was suffering from sleep deprivation because of a medical condition and alcohol use. He also was using prescription medication with a sedative effect. The school bus driver lied about his medical history when getting his commercial drivers license and the medical examiner did not thoroughly evaluate the school bus driver for medical conditions that could have disqualified him from becoming a school bus driver. The truck was overloaded, had a deficient braking system and the truck driver was speeding. Truck Accident Prevention: Will safety be impacted by the new government proposal that requires truck drivers to file a Driver Vehicle Inspection Report only if defects or deficiencies are discovered during pre and post trip inspections? 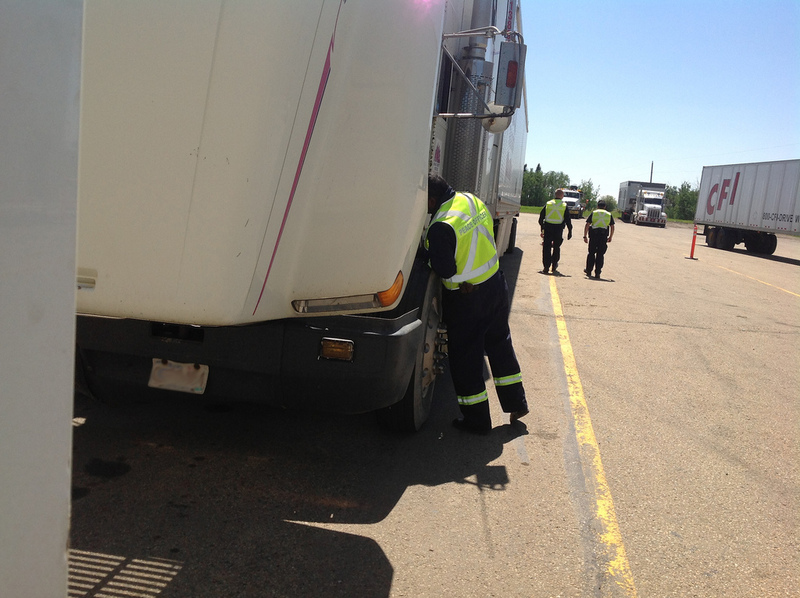 To prevent truck accidents and protect public safety, truck drivers are required by law to conduct pre and post trip inspections and to file a Driver Vehicle Inspection Report (DVIR) after each inspection whether or not an issue requiring repairs is identified. The US Department of Transportation wants to change this rule and have truck drivers required to file a DVIR only if a defect or issue is found during the inspection. DVIRs are daily lengthy paperwork for truck drivers and only 5% of them are reporting an issue. The Obama administration believes that a defect-only reporting system may lead to $1.7 billion in savings annually while not adversely impacting safety. What do you think? Would truck drivers continue to diligently inspect their truck before and after a trip if they wouldn’t have to file a report or would this new proposal open the door to negligent behavior and increase truck accidents? Reducing the number of truck and bus accidents related to driver fatigue is one of the priorities of the U.S. Department of Transportation’s Federal Motor Carrier Safety Administration (FMCSA). After launching new hours-of-service rules at the begining of the month, Anne S. Ferro, Administrator of the FMCSA joined forces with Lisa Raitt, the Canadian Minister of Transport to announce the launch of the The North American Fatigue Management Program (NAFMP). The NAFMP is a comprehensive interactive program for commercial truck and bus drivers, their spouse and family as well as motor carrier executives and managers, safety managers and trainers, dispatchers and drivers managers, freight shippers and receivers. The program aims at developing a corporate culture that facilitates reduced driver fatigue and at providing fatigue management education, information on sleep disorders screening and treatment, driver and trip scheduling as well as fatigue management technologies. 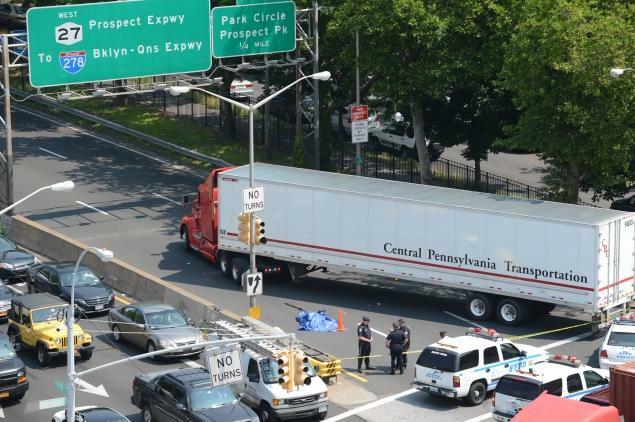 Last Monday a woman died when she was struck by a truck and fell underneath the rear wheels of the tractor-trailer as it was turning onto onto Prospect Expressway in Kensington, Broolyn, New York. The intersection that once again proved to be very dangerous for pedestrians has been waiting for New York Department of Transportation to install a pedestrian island on Ocean Parkway near Church Ave at the entrance of the expressway. In an Upstate New York truck accident that happened several days ago, a trailer disconnected from the rig that was pulling it and crashed into a minivan killing 7. Investigation will determine if the cause of the accident was mechanical failure or driver action. According to the Federal Motor Carrier Safety Administration, mechanical failures are the cause of only 1% of fatal accidents involving large trucks and among mechanical failures, the truck’s couplings, hitches or chains are the cause of 1 in a thousand fatal accidents. In New York City, some 70,000 motor vehicle crashes are reported every year and among them 250 are fatal crashes, 3000 crashes lead to serious personal injury . 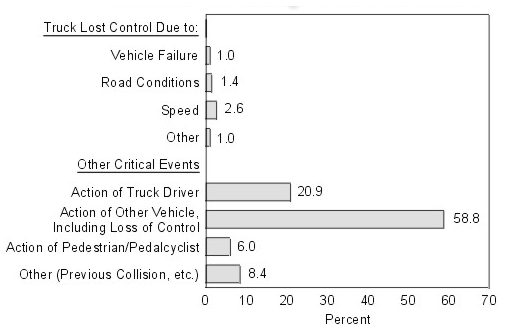 10,000 crashes involved pedestrians struck by a car or another vehicle such as a bus or a truck. 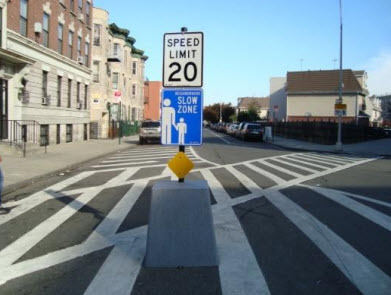 In order to reduce the frequency and the severity of these crashes the New York City Department of Transport has been running a Community based Neighborhood Slow Zone Program. Last year a dozen neighborhoods in the city had their application accepted and a speed limit of 20 mph with signage, gateways as well as speed bumps is being implemented this year. New Applications can now be filed by communities until the end of this month. Many cities in Europe are already running this type of program. In London Slow Zone program saw a reduction a more that 40 % of fatal and severe injury crashes and the average speed in theses area will now be reduced to 9 mph. In the Netherlands crashes dropped by 25% in slow zones and in Barcelona by 27%. 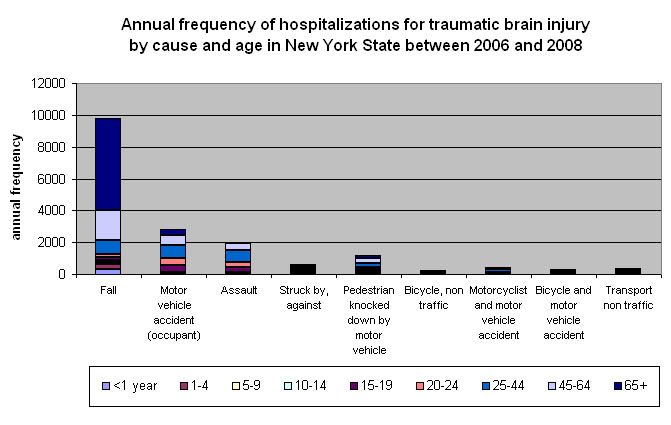 Similar results are expected in New York City’s newly created Slow Zones. The talus bone is one of the most important bones of the ankle joint. It is the rounded bone at the top of the foot. Because of its location, the talus can be easily fractured after falls from heights such as falls from ladders and scaffolds in construction accidents or after a severe impact to the foot such as those caused by a motorcycle, a truck or a car accident. Some subtle fractures can be misdiagnosed as ankle strains as the symptoms are very similar: acute pain, swelling and bruising. A talus injury can severely limit the ability to walk and bear weight. Delays in treatment can result in long term disability and surgery. In the following video segment, Dr Nabil Ebraheim, Professor and Chair of Orthopedic Surgery at The University of Toledo Medical Center, demonstrates the different types of talus fractures.